Each of our warehouse teams depends on each other to efficiently and properly execute their tasks. 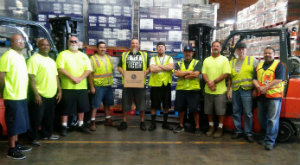 Take our Cerrito’s warehouse team, for example. It’s the main resource for servicing all Costco warehouses in Southern California; over 6 million cases were in its care and shipped from their warehouse. As a warehouse worker, you have some tall orders to fill, and it’s important you work with others to take on each new challenge. The safe operation and safe practice of equipment is of the utmost importance for our warehouse workers. To commemorate our dedication to safety, our individual crews celebrate safe working milestones. 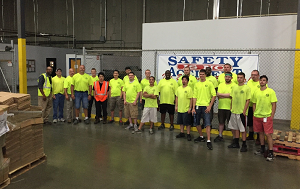 Recently, our Minnesota night crew celebrated their one-year anniversary of safe working. Each year there are opportunities for our warehouse workers to show off their skills in local and national competitions. 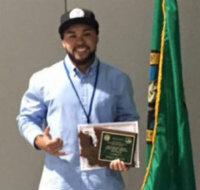 Last year, Keolu Walser took first place at the Forklift Finals in Spokane, Washington in a nationwide competition. We also have an annual Distribution and Warehouse Rodeo where employees compete in slalom courses, forklift bowling and much more. At Southern Glazer’s you will find more than fulfillment in your career, you will find a family. The best way to work is together, and we stay true to our commitment of supporting our team members from across all levels of our business. Interested in joining our warehouse teams? Take a look at our available positions at Southern Glazer’s.